I was born in Milan, Italy and spent my very early years in Surrey, England but I grew up in Madison, Wisconsin. I’m very much a “Wisconsin Girl.” I love lakes, football and cheese! I got my Bachelor of Music at the University of Wisconsin Madison, and grew up watching The Green Bay Packers so I’m a “Cheesehead” through and through. Q: Tell us about your background and what brought you to Azamara. After college I had all sorts of different jobs. My first job in my field after school was as a dancing bunny in a children’s theatre touring production of The Velveteen Rabbit. I lived in New York City for five years and did some dancing with the Broadway Dance Center and some small cabaret gigs. Eventually I moved back to Madison and started a local musical theatre company while doing residential real estate appraisal with my father. I did some regional shows and dinner theater gigs when a friend recommended that Royal Caribbean was looking for singers—I took a chance and sent them my audition tape! I got a call a week later asking if I could get down to Florida in five days to start rehearsals as a featured singer for the Independence of The Seas. I packed a bag and was on my way. That was ten years ago and I’ve been at sea ever since. While I love the performing aspect of my job, the real highlight is meeting and working with people from all over the world. The Azamara crew is a unique work family made up of amazing individuals from all corners of the globe. At any given time, we represent 80+ countries—which means 80+ cultures, traditions, languages, and religions. While I love the travel experiences I’ve had at sea, I have learned so much more from the people with whom I share my home. It’s also exciting to pull into a new port in a country I’ve never visited and know that I’ll be having lunch and seeing the sights with a friend I made on a ship nearly five years ago. Thanks to social media, we are able to stay in touch over long distances and go out of our way to meet up with one another when we happen to be in the same city. That goes for our incredible guests as well! I’ve made lasting friendships with so many guests who go out of their way to stay in touch and are kind enough to show me their hometowns when I get the chance to port there. Q: What makes Azamara different from other cruise lines you’ve worked for? I’m lucky that I can honestly say I’ve enjoyed every ship I’ve ever worked on, but Azamara is truly special. Because of our size, it is much easier to get to know the crew and the guests. I’ve been on ships that have over 6,000 guests and I never really got to spend time with the crew or guests because the ship was just too big. While playing to a 2,000 seat audience is thrilling, the intimacy of the Cabaret Theatre makes for a much more connected performance. The ports are also a big difference. 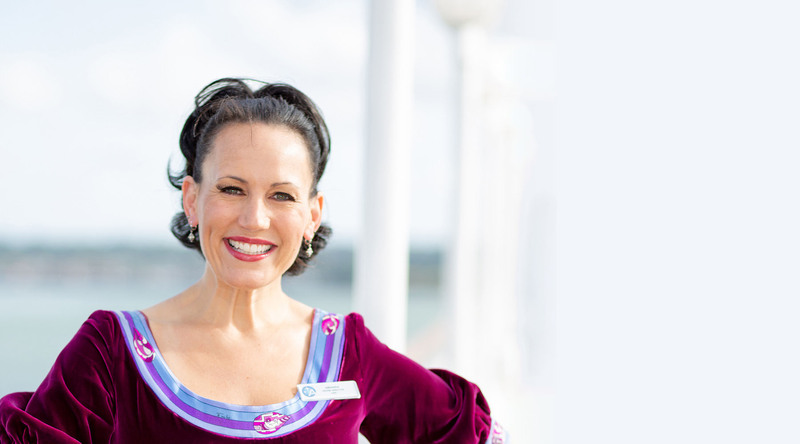 Our Destination Immersion voyages are unlike any other cruise line I’ve ever encountered. The overnights, late sails, and exclusive access to unique ports because of our small size make for incredible travel experiences that just can’t be achieved by larger vessels. AzAmazing Evenings and our exciting Shore Excursions have allowed me to explore new cities in a way I have never been able to elsewhere. Q: What do you eat when you are onboard? While we have a crew that takes excellent care of us, I do go out of my way to enjoy the incredible cuisine that is offered on Azamara. Our culinary team creates such exciting food that I jump at any chance I get to visit the dining room. With a new menu every day, I’m constantly amazed by the mouth-watering dishes our chefs prepare. While I love Aqualina, I’m constantly looking for an excuse to have a quiet dinner in Prime C. There is something truly magical about savoring a delicious steak while watching the sunset, and I can’t leave without indulging in the mini doughnuts, who could? I am keenly aware that I need to be able to zip up my gowns so I do try to visit the gym as often as possible and on days I know I’ll be dining out I make sure to get up to Windows in the morning to have a healthy fruit smoothie to start the day. Q: What is your favorite cruise destination? That’s a question that is nearly impossible to answer. With Azamara I have been able to visit all seven continents and I’ve had incredible adventures in all of them! I went hang gliding in Rio, river rafting in Costa Rica, scuba diving in Croatia, took an immersive cooking class in Vietnam, saw La Traviata at La Fenice Opera in Venice, walked the city walls in Dubrovnik and even got my picture taken with the extras from “Game of Thrones” while they were there filming. I can’t possibly choose one port or experience that was my favorite, although getting to see the Komodo Dragons is up there. Also getting to walk through a Concorde Airplane at the AzAmazing Evening in Barbados was really special. Oh, and I jumped off the Sky Tower in Auckland, New Zealand, also a major bucket list item. Azamara has given me too many to count! Q: How were your first days on Pursuit? This is really an amazing ship. We truly have the dream team working here and I'm learning so much every day. Making the transition from Production Cast to Cruise Director has been a challenge but a really fun one and I'm surrounded by people who strive for excellence and are willing to share their knowledge and love for their work. I couldn't ask for a better ship family. I have a storage unit in my hometown of Madison, Wisconsin. My family is still in Wisconsin so I always head there first to spend time with my mom and dad, and my sister and her family. I'm the very proud aunt of three amazing kiddos who all make an appearance in the show I do here on Pursuit. My niece Georgie even sings with me in my show. I always make sure I get home to have some time with them because they grow and change so much while I'm away on the ship. Skype and Facetime help me stay in touch but I like to try to be home when them when I can. From there I’ll bounce around visiting all my friends who are spread out around the world. I try to visit as many people as I can when I am off the ship because I miss holidays, birthdays, weddings, etc. It's a wonderful way to have quality time with my friends and do a bit of traveling. Q: What cruise itinerary would you love to do? I will always enjoy porting in Italy and Vietnam—they both have exquisite food, friendly people, and interesting sites to see again and again. Even though I've spent 10 years at sea I've still never been to Hawaii or Alaska so I would love to spend some time sailing around the Hawaiian Islands.